The Evidence Collection Technician Program verifies an applicant's fundamental knowledge as measured against core job performance requirements of established professional qualifications standards and standard industry practices related to evidence collection on fire scenes. This measurement is not all inclusive of the incorporated professional standards cited, but lays the foundation for measuring the holder’s fundamental ability to perform specific evidence collection tasks related to fire scene investigation at an acceptable level as measured against published acceptable practices. The applicant must provide documentation of meeting minimum requirements including experience, training, and education. After the application is approved, the applicant must then successfully pass a practical examination. The IAAI-ECT designation must be renewed every three years. Why earn the IAAI-ECT designation? Verification by an independent body that the individual has demonstrated competence on the applicable core professional qualification job performance requirements and standard industry practices for evidence collection. Recognition by an independent body that the individual possesses fundamental knowledge of evidence collection required by the applicable professional qualification standards. Verification, via passing a practical examination, that the individual can execute industry standard evidence collection procedures. Measurement of these achievements using a standardized mechanism, as set by the IAAI-ECT Committee. How do I become an IAAI-ECT? To apply for the IAAI-ECT designation, complete the IAAI-ECT application and return it to IAAI as directed, with the application fee. The application fee for IAAI Members is US$280. For non-Members, the fee is US$490. The application fee for IAAI Members who qualify for NFA reciprocity is $125 and $325 for non-Members. Please note that individuals who are members of a local chapter only do not qualify for the IAAI Member rate. To obtain the Member discount rate, a non-Member may choose to join IAAI prior to filing the IAAI-ECT application. Once you have submitted the application, it will be reviewed by the IAAI-ECT Committee. If the application is approved, you will then be provided with instructions on how to take the practical examination. If the application is not approved, you will be advised of the appeals process. 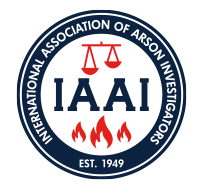 For detailed information on the full process of the IAAI-ECT program, please read the International Association of Arson Investigators Evidence Collection Technician (ECT) Program Manual. I already hold the IAAI-ECT designation and need to renew. What do I do? IAAI-ECT renewal fees are US$75 for IAAI Members and US$295 for non-members. Please note that individuals who are members of a local chapter only do not qualify for the IAAI Member rate. To renew, complete and return the IAAI-ECT Renewal application with the associated fee according to the instructions. IAAI-ECT designation holders who are applying for renewal must provide documentation of continued meeting of minimum program requirements, including an additional 18 months of general work experience during the preceding three years; specific work experience to include active participation in the collection of a minimum of 21 items of forensic evidence during the preceding three years (with a minimum of 5 items collected in each year since the previous certification or recertification), and 24 hours of tested training and education accumulated during the preceding three years. Please contact IAAI-Training@firearson.com if you are interested in becoming an IAAI-ECT.